In 2001, we opened our second store on the Missouri River in the trout town of Craig, Montana. 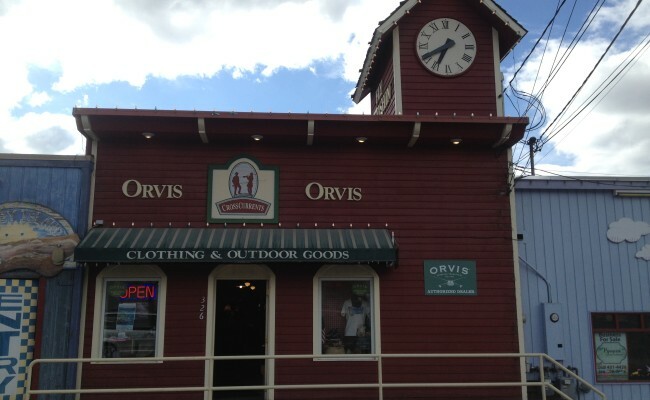 Our Missouri River store is open seasonally from April through October. 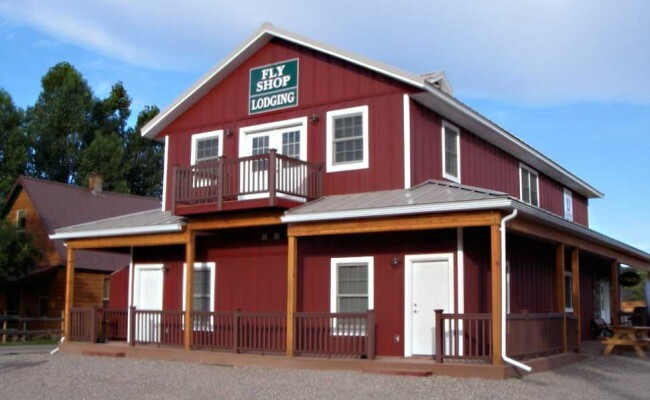 In 2006 we built our brand new, 2 story fly shop and motel The Fish Inn, at our Craig location providing more room for our expanding fly shop and boat rental business and some much needed lodging. Early Spring: Currently-9am to 5pm, 7 Days a Week! Look for longer running hours in April! Our lodging in Craig is available and has special discounted rates. Our Missouri River Shop and Motel is hard to miss in the micro metro of Craig, Montana. There are only four commercial buildings along Bridge Street in Craig so if you don’t read the signs you have a 25% chance of walking in our door. The exit off I-15 is called “Craig” and that puts you directly on Bridge Street. (It’s called “Bridge Street” because if you drive past the shop on that road you will cross the Missouri River on the new, 2-lane, Forrest H. Anderson Memorial Bridge (the old, steel bridge built in 1903 was decommissioned in Winter 2006. Sad to see the old landmark go but it was becoming a bit rickety and unsafe. Not to worry, though, the river still flows downhill underneath the new bridge and the fish face into the current.) On the East side of the river, Bridge Street intersects with the “Missouri River Recreation Road” (or Old Highwy 91) which takes you either upstream to the dam and Holter Lake or downstream to Cascade, roughly paralleling the river the entire way. Craig is located halfway between Helena and Great Falls (approximately 45 miles from each city). The mighty MO and the Craig Fishing Access Site (& boat ramp) are only a hundred yards from our shop. Our Downtown Helena Store has been at the same location since 1994 and is open year around. Christmas (Holidays in December): Open 7-days a week. You can always shop on-line 24/7 everyday of the year! The Helena Store is located in the heart of Historic Downtown just one block East of Last Chance Gulch (“Main Street” in Helena) at 326 North Jackson Street between Lawrence Street and 6th Avenue. We are the tallest building on the block and have a red clock tower on top of the roof. There is free parking on the street directly in front of the shop and two city parking lots immediately across the street that are only .50¢ per 1/2 hour (both lots are free after 5 pm and on weekends & holidays). Vehicles towing boats or RV’s can pull up and easily park in front of the shop.